If you want to know what an ordinary white American man is like you can read, say, John Updike’s novels about Harry Angstrom. 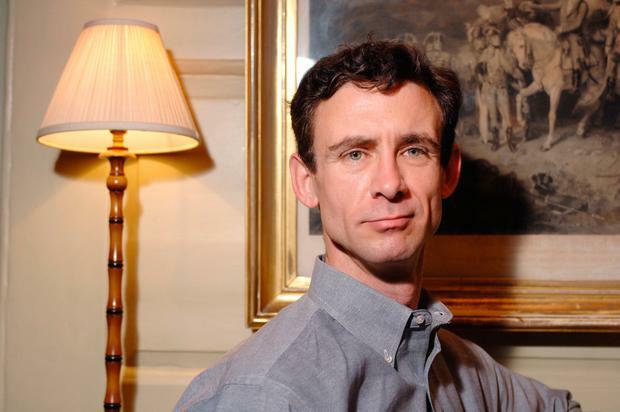 But if you want to know how he views himself – if you want to read the sort of novel that he might write, with himself as the hero – then Chuck Palahniuk is your man. From his first book, Fight Club (1996), Palahniuk has spoken up for the beleaguered American male: the guy who feels that his masculinity is compromised in our feminised, risk-averse world, and that his well-being is ignored by politicians in thrall to political correctness, and so has been humiliatingly forced to adopt the victim mentality he despises in women and minorities. Palahniuk’s depiction of modern men may be short on nuance but, like many satirists, his humour expresses a genuine anger, and that gives his books a crackling energy that is some compensation for their lack of subtlety. His 16th novel begins with war imminent in the Middle East and a compulsory draft about to be introduced. With that slightly enervating capacity for inventing conspiracy theories that has seen him become the favourite novelist of the foil-hatted classes, Palahniuk posits that the casus belli has been confected by American politicians in order to cull the worryingly large numbers of young men who are going around expecting more from life than late capitalism can provide. This is standard practice, we are told: American governments of the past did nothing to prevent Pearl Harbour or 9/11 because they wanted pretexts for a good war to thin the ranks of the bumptious young. Naturally, the media are in collusion with the politicians, which is why they sweeten the old for the forthcoming mass slaughter by constantly portraying the young as feckless thugs and layabouts. But then comes Adjustment Day, on which the young men rise up against the politicians who have been shown to plan cavalierly – even, stretching credibility that bit too far, gleefully – for the destruction of thousands of their countrymen. Thanks to the internet, the revolution has been easy to arrange – it’s “America’s version of the Arab Spring” – with power to be granted to those who prove their worth by murdering the senators, MSM journalists and misandrist academics who have made the country hell for the ordinary working man. All you have to do to become one of the elite leaders is to provide evidence that you have killed – specifically, a piping hot ear freshly sliced from your victim’s head. This massacre takes place “with the blessing of the police”, because, of course, they too feel they have been “sacrificed for political correctness”. Following Adjustment Day, America is free to remake herself, and Palahniuk follows a diverse range of characters as they attempt to negotiate the brave new world that ensues. In the “new Disunited States”, diversity is outmoded, so all African-Americans live together in a region called “Blacktopia”, whites in “Caucasia”, gay people in “Gaysia”. This may be a heavy-handed satire on the vogue for identity politics and safe spaces but it produces some funny moments, although Palahniuk’s determination to leave no group unmocked becomes wearisome. His conceit that black people have been fooling the stupid whites by pretending to be “violent psychotic killers”, “crackheads” and “morbidly obese welfare cheats”, and once left to their own devices have made Blacktopia a centre of outstanding scientific and cultural progress, may be a cleverly economical way of insulting as many people as possible, but it betrays a juvenile desire to shock. What is most annoying about Palahniuk is the way in which he gives you glimpses of how much better a writer he could be if he was bothered enough. When writing about the befuddled white men he cares about, he can give you a real sense in just a few paragraphs of what it is like to live your life in quiet desperation. But a couple of pages later, he is back to galumphing caricatures of PC academics – one bewails the fact that a colleague has been slaughtered “only days shy of completing his doctoral thesis on gender fluidity” – and you feel you could be reading a sequel to Richard Littlejohn’s 2001 dystopian satire To Hell in a Handcart. This is one of those books that is best enjoyed in a bad mood, when you’re thinking that a good cull is really what the human race needs, although even when feeling quite sunny, I found the glee Palahniuk takes in his Book of Revelations-esque scenario rather infectious. But the characters are all so cartoonish that you never discover how it might feel for an actual human being to live through such events, and there is no sense of jeopardy. Thousands of people have their ears hacked off, but nobody really gets hurt.